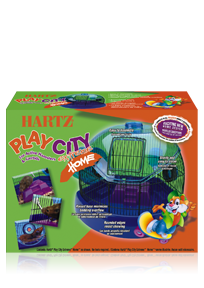 Hartz® Play City Extreme™ Home™ is designed specifically for active hamsters and gerbils. Design features include a raised base that minimizes bedding overflow and rounded edges that resist chewing. Sturdy and easy to clean.